One of our major undertakings this year besides building this deep winter greenhouse and root cellar has been going through organic certification. This is a process where we lay out for a third-party certification agency (ours is OCIA) lots of details about how we farm and exactly what inputs and materials (fertilizers, seeds, etc) we use to produce crops for the last three years. 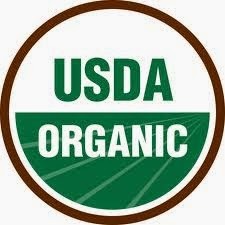 Certification is pretty much the only way to obtain the label and right to the term organic. Together with this paperwork we get inspected by that agency to make sure we are doing what we say we are doing and make sure that our inputs fit organic standards. This sound simple enough, but what I realized is that how we grow is very complex. Staff at OCIA said that most people’s paperwork comes in at about 25 pages, ours was 110 pages. This is due to the large number of types of crops and how we handle each one. For example, we grew 393 different seed varieties in the past three years and have nearly 75 vegetable beds, many of which we treat quite differently due to the different crops grown in each. An organic row crop farm may have 4 or 5 seeds and treat an entire 40 acre field the same. All told, however, I feel really good about finally coming around to certifying. After thinking about certifying for many years, I realized this is still the best way to assure you and all others that we take organic production very seriously and grow with integrity. No longer do I have to yammer for 5 minutes about each of our farm practices when asked if our stuff is organic at a farmers market. It’s the real deal. Receiving this official certificate in the mail this week, I felt quite proud.